Sweaty Successful Moms; a community that supports uniquely YOU! They believe in you, especially on the days you don't always believe in yourself. What began as playful banter between two sweaty mom’s rushing straight from a workout to a work meeting has led to the name that sparked their passion. “It’s okay, we’re sweaty but we’re successful!” Co-founder Leslie joked. This innocent remark gave life to the dream of creating a space for like-minded souls to share, connect and inspire. Sweaty Successful Moms was founded by Kristen Nagle, an RN in the NICU and aspiring RHN (registered Holistic Nutritionist) and Leslie Wendland Intuitive healer, yoga instructor and x-ray technician. "We want to create a community that educates, empowers and inspires people and allows them to live out their most beautiful lives!" Founded in the belief that strength comes from lifting others up, Sweaty Successful Moms also creates platforms for individuals and local entrepreneurs to share their passions with the community. Inspiration may come in the form of a DIY class, vision boards or ways to promote self-care and better sleep, with much more on the way! 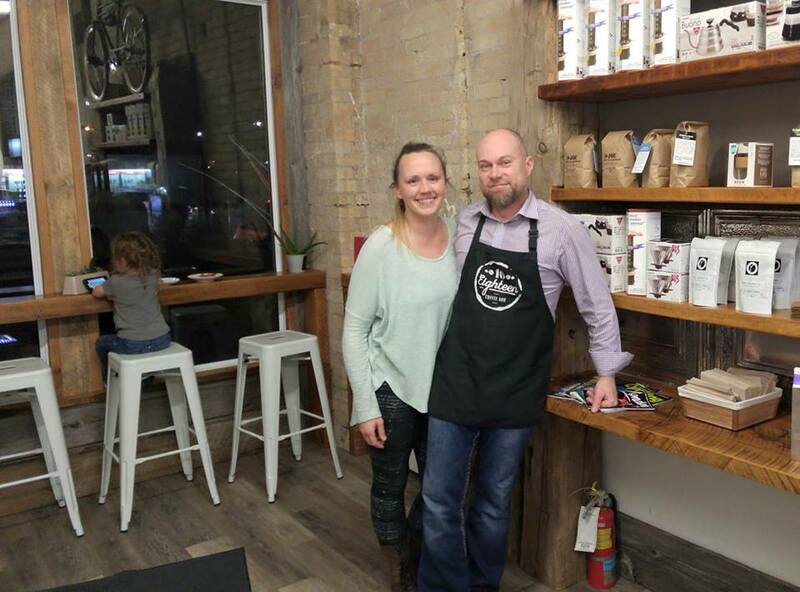 Sweaty Successful Moms aims to build a platform for growth and abundance, whether it be through an informal chat over a cup of O-Joe’s Cafe Femenino Blend or through a formal presentation. There are no limits when it comes to sharing, growing, teaching and learning! Life can get busy, and sometimes we lose ourselves, forget our interests or just don't seem to have time for them. Sweaty Successful Moms wants to remind people that you are always capable of greatness, we want to help connect the dots and let your true self shine through. Sweaty Successful Moms isn’t just for those who have children, instead, it is a group of people rooted in the belief that supporting local, building a community and creating abundance are all achievable goals. We are all better and stronger when we build each other up and work together! If you’re interested in connecting, learning and growing this is the space for you! If you'd like to share your skills, ideas, thoughts and passions with this community of like-minded individuals who will support, empower and encourage you to live your most abundant life, Sweaty Successful Moms looks forward to connecting with you! Join the community and start living your full potential, it's time to let your true greatness shine through! Check them out on Facebook here.